A friend bought a case of MG13 magazines still packed in grease several years ago. He was pulling out two mags for me to try and modify for my G43 when he came across one marked K43 with a nib welded on the front. Is it possible this is a war time conversion for a K43? Any information to share on this? Do you have a g43 to test and see if it fits? Yes. He is bringing it to me to test. He tried it in his bcd G43 and didn’t quite fit. Maybe with some fitting. It can be done, (AC44) not perfect but it works most of the time. 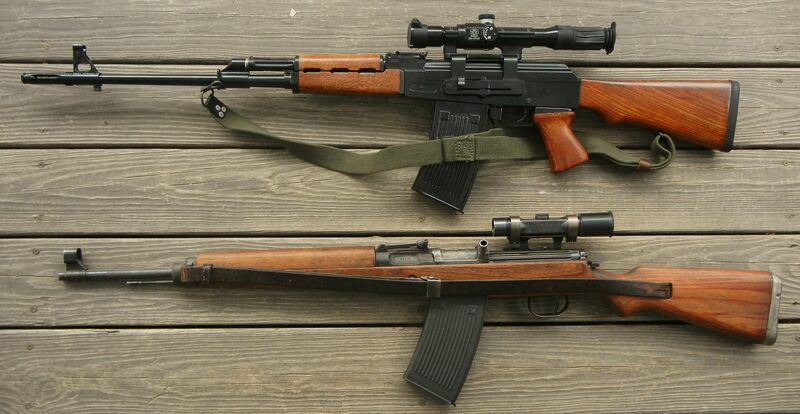 Pictured with the Yugo M76 DMR. Great. Mine is an AC44 as well. Can you share what modifications you had to do to magazine to make it fit? My main question though is about the "mg13" magazine already stamped K43 with tab added to front. Could it be a German war time modification, or maybe one done by the German police after the war? Just curious why it would be stamped K43. Could've sworn these were mentioned in Weaver's book, I'll have to check when I get home from work. That would be great! Any information you can share on these "oddball" magazine would be fantastic. My friend and I are both stumped. Unfortunately I can't tell you how they were modified as both were purchased pre-modified to work in each Rille. May I impose on you to take closeup detail pictures of the modifications, such as the front and back latch points and any other spots that were modified/ material removed or added? Here's what's in Weaver's book, unfortunately it doesn't say anything about the K43 marking on the magazine.